Louisa Milne was the youngest child born to John Milne and Ann Robertson in Botriphine, Scotland in 1893. 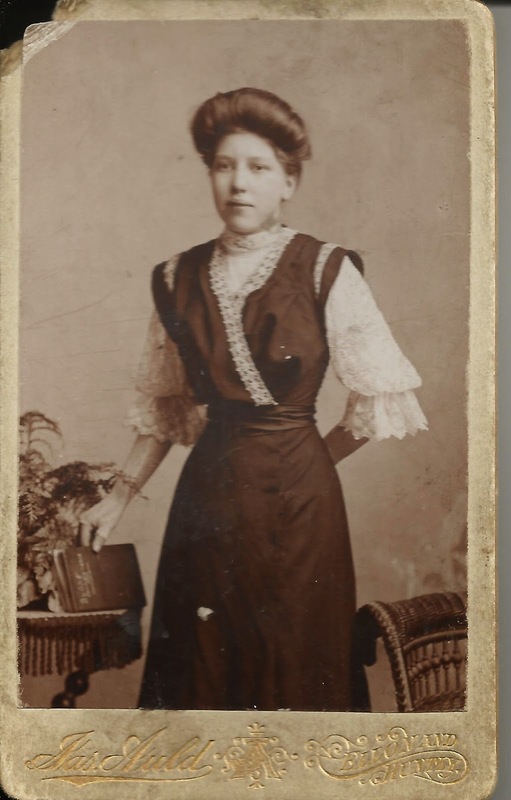 At the age of 18 in 1911, she set off for Canada with my great grandfather John and her sister Isabella. 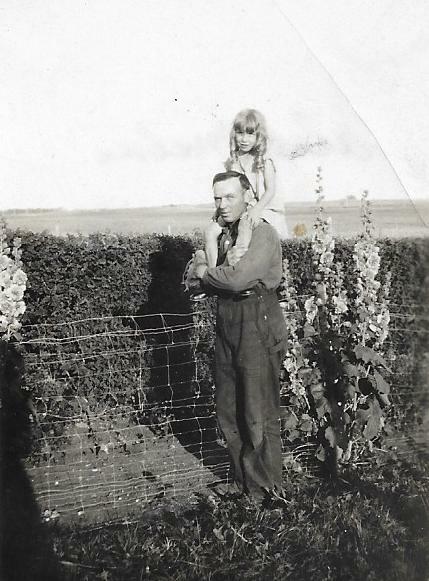 Her brother Alexander made the trip seven years earlier and was farming in the Virden, MB area. Sister Mamie Duguid and her husband Charles accompanied them to begin life in Brandon. 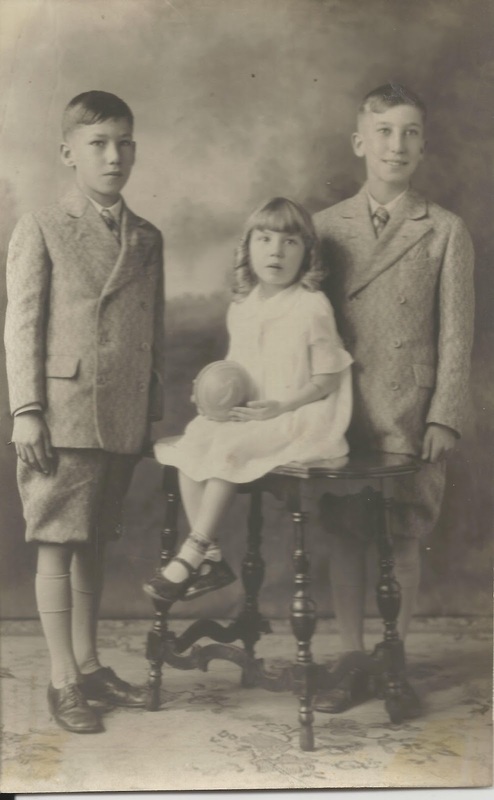 It was here that "Louie" married Donald Gunn, a Scottish immigrant himself from 1913, on October 9, 1918.
l-r Charlie, Muriel and Jack Gunn - late 20's ? The 1921 Canadian Census finds Donald and Louisa along with two young boys Jack and Charlie on Belmont Avenue in West Kildonan, part of present day Winnipeg. His occupation is listed as "Teamster" but later Voters Lists say he is a fire chief and even later a fire prevention officer. In the book Alarm of Fire written in1982 by Vince Leah it states that in the 1940's, the West Kildonan Fire Department expanded under Chief Donald Gunn and that he had first been named Chief in 1919. They began with a horse drawn pump wagon but acquired a more modern Reo pump and hose truck in 1926. It appears there is an extensive Fire Fighters Museum in Winnipeg that I will have to put on my list of places to visit. 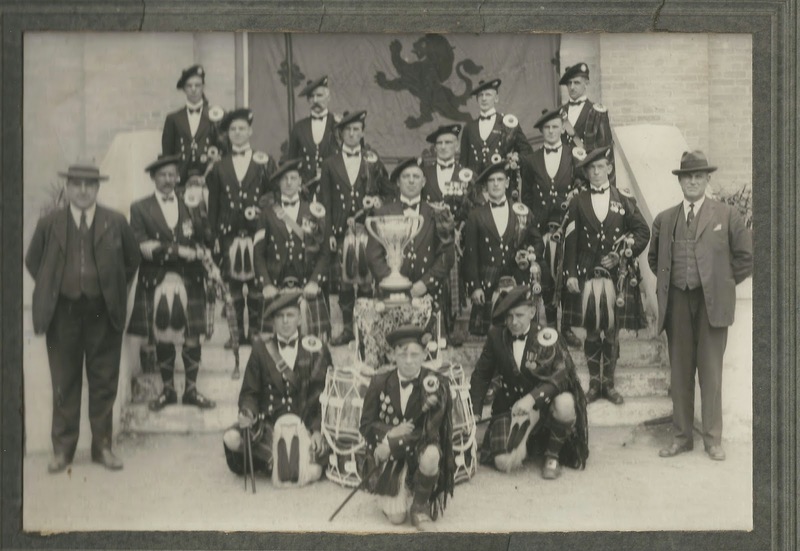 Donald Gunn played the bagpipes and was Pipe Major of a local band. 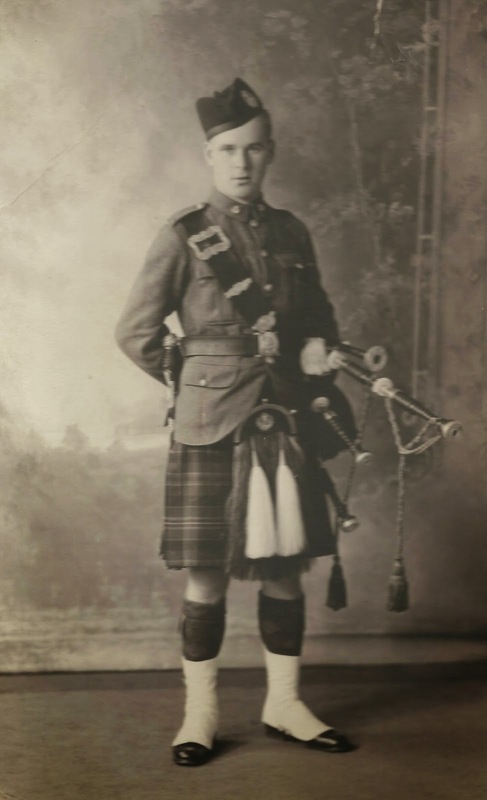 Charles Gilchrist Gunn was an Army private and a bagpiper with the Queens Own Cameron Highlanders Regiment in Winnipeg. Apparently as was not uncommon, he lied about his age to sign up for the war. The picture below of Charlie was printed in the Winnipeg Tribune on August 25, 1942 on page 4. Tragically it was announcing that Charlie has been reported missing after the battle of Dieppe. This site tells the history of his Regiment and his role as the piper. I was unaware of the pipers' role in battles until my sister found this information on the Canada At War website. The article below, clipped from the Monday, August 24, 1942 edition of the Winnipeg Tribute relates the irony of Louie recognizing her 21 year old son as the piper on the front page of the paper and that evening hearing he was missing. It would not be until December of that year that he was officially declared dead. Page 78 in the WWII Book of Remembrance in the Peace Tower at Ottawa is displayed each year on February 20th and includes the name of Private Charles Gilchrist Gunn. He is buried at the Dieppe Canadian War Cemetery, Hautot-Sur-Mer in France. Charlie's older brother Jack was also in WW2 in the Royal Canadian Artillery. He worked at a car dealership before the war and married Lillian Ann Nichols on June 29, 1946. Jack worked as a warehouseman after the war and joined the West Kildonan Fire Department where he eventually became the first Fire Prevention Officer. 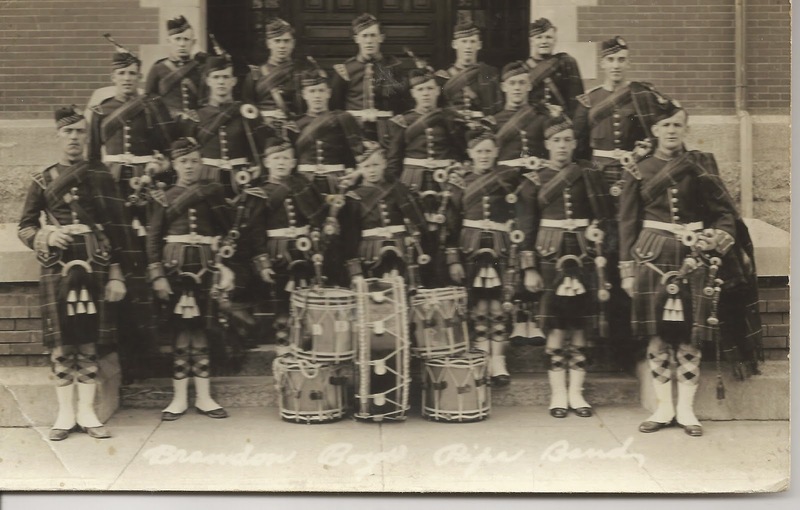 Jack joined the Queen's Own Cameron Highlanders during the 1950 Winnipeg flood and then took up the pipes as well. He remained with the Cameron Reserves until he was forced to retire at age 55. (Thanks to Jack and Lillian's daughter Lynn for helping with details for this blog post.) The only daughter of Donald and Louie, Muriel, married Robert Arthur Nichols (brother to Lillian) on May 18, 1946. The picture below is of curly headed Muriel sitting on the shoulders of her cousin Alex Milne during a visit to Hargrave, MB. The 1953 voters list has Donald and Louie at 264 Belmont Avenue and their niece Violet Halls lived with them at that time and worked as a stenographer. On April 30, 1975 , Donald Gunn passed away in Winnipeg. At that time, Louie survived him and was living at 260 Templeton Avenue. Louisa died in 1980 and is buried at Kildonan Presbyterian. I wonder if any of these unidentified photos below from my Grandma's trunk , who was Louie's niece, are connected to the Gunns. Any information from readers would be most welcome. Hello. Not sure if this is a connection or not. 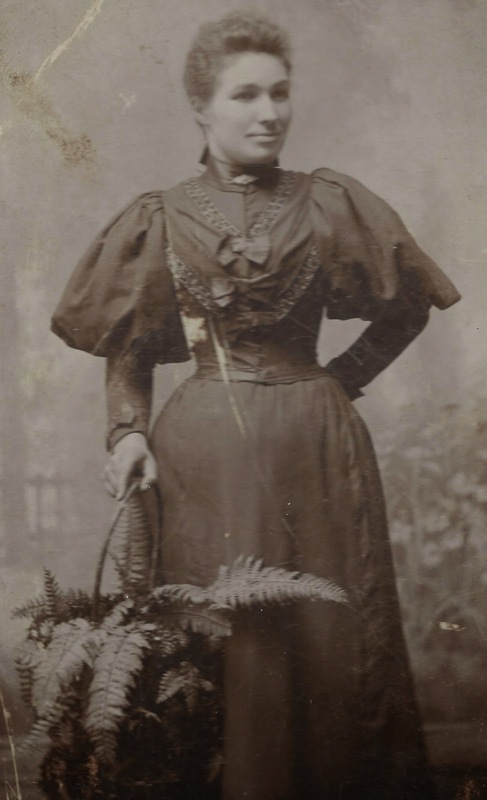 My 3x great grandfather was James Gunn wife Margarett Cummings Their daughter married Abraham Orth.